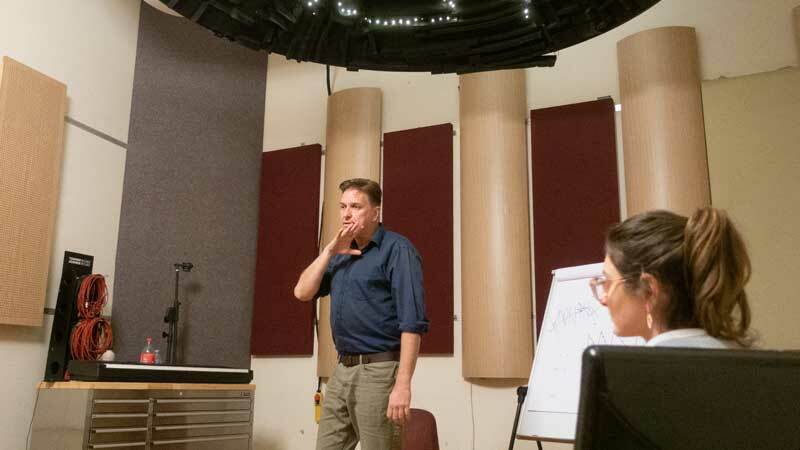 Lifting, stretching or generally pointing your voice towards the microphone will have a litany of negative effects on both the quality of sound and the health of your voice. Most of these actions will cause the artist to lift their larynx which both feels badly and is bad for you. The easiest solution is to lower the microphone three to four inches below your bottom lip and sing downwards without dramatically lowering your head. Most singers warm up for much too long, fatiguing both their nervous system and vocal chords. This compromises their ability to attain the most difficult pitches in their performance as well as their overall sound quality. Instead, sing two to three exercises at half volume three to five pitches above the range your performance requires. You can read more in Torb's post Warming Up Isn't As Critical As You Think. For 95% of people, raising their eyebrows is directly connected to the position of their vocal chords. Raising your eyebrows pulls up on the soft palette which negatively effects your vocal chords’ ability to sing with ease and precision. You can try this right now. Lift both eyebrows and feel the upward pull on the back part of your throat. The reason people do this, is when they see the notes go higher on the page, they subconsciously believe that they need to lift parts of their body to assist them. Instead, leave your eyebrows in a normal position and your chords will be free to manipulate as you require. Though the effect of this may only be moderate, the results will be felt immediately. For the first time ever, peak behind the curtain of the world's fastest, most effective and safe vocal technique. 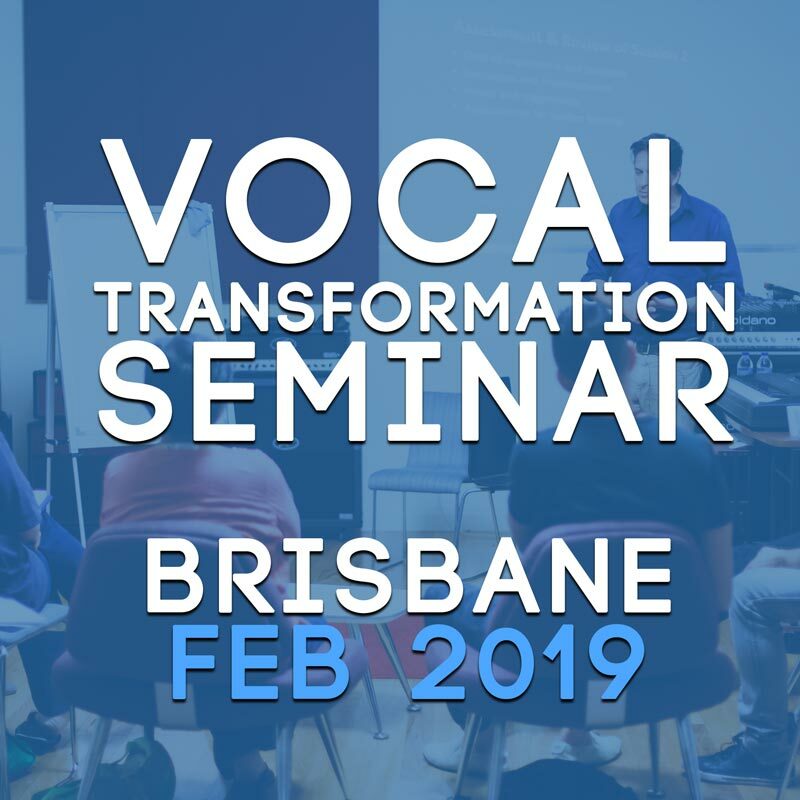 For 1 night only in Brisbane learn the vocal techniques used by the biggest stars in the world and progress your vocal career to new levels.